My friend, just take the equipment, install everything there, make the engine work and let the plane fly, load all the elements and also not forget any that spoils the moment ... it's no small thing !, they are too many items to have consider. Only you know how much it costs to order everything, for your efforts my valuation. It always happens, the best moment is not registered, it happens in the world, maybe it is a general rule ... there is someone there in the universe who feels jealousy! Thank you for the greenie Mauricio!!!! Lol yes not a perfect day but least I have gone through the routine of using the radar gun. 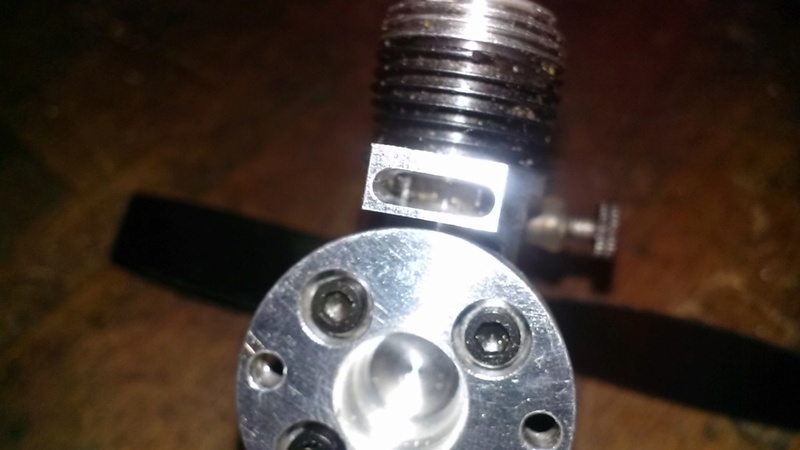 will be sorted out with back pressure using a manifold for the RC carb and pressure tap on it. am trying to fly with a new plane. allow exhaust out of both ports one has no channel converting it to a pure single exhaust. variance and seats over the crank case ring at the bottom for a drip free fit. 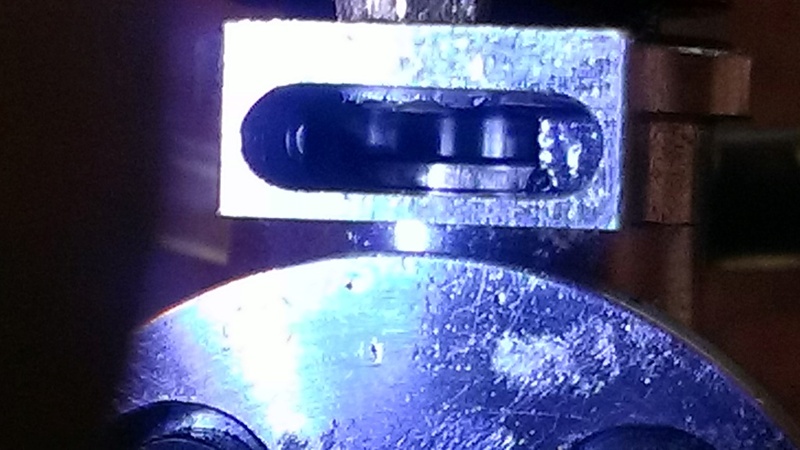 footing on the crank case. 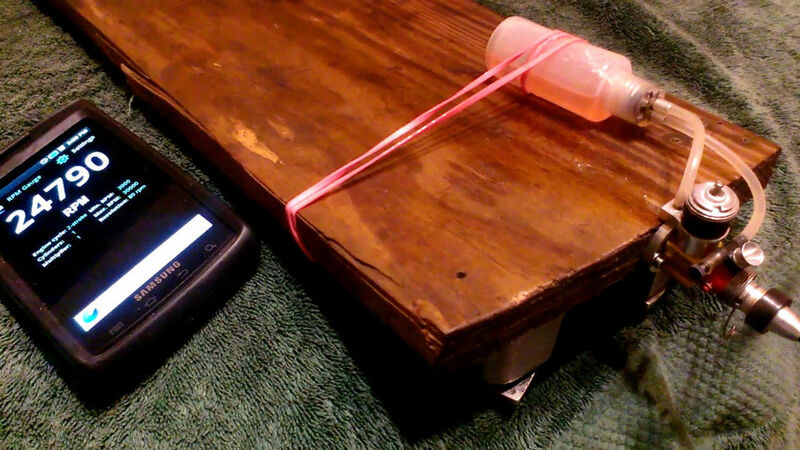 Oil was used on all mating surfaces and the O ring to help the seal. from the manifold. Of course this would do very well with the stock venturi. Those accessories are a novelty Brad, very interesting. It would be great if the rear plate, exhaust and r / c venturi kit arrived for the .020! 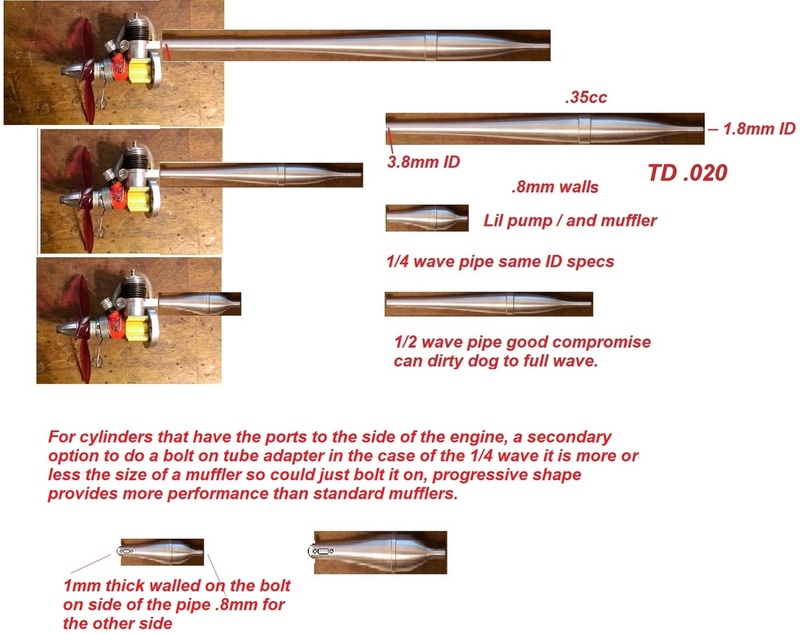 - Full wave tuned pipe for max torque. 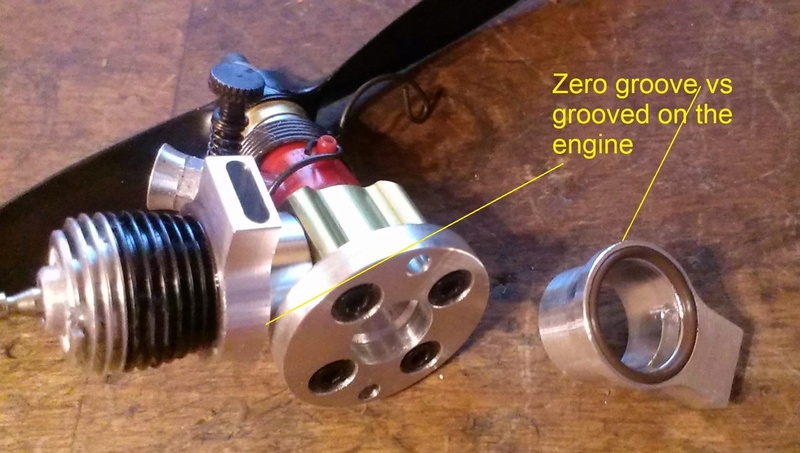 - Dino Breath Diesel Head conversion - used with performance crank / piston upgrade. 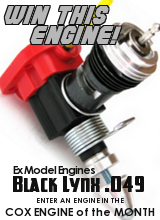 I think the carburetor or air choke, plus .020 exhaust, more back plate, is something that we all want .... I would add direct there .... I am a candidate friend! Yes was having some fun with the list of course but some of the idea's are viable. 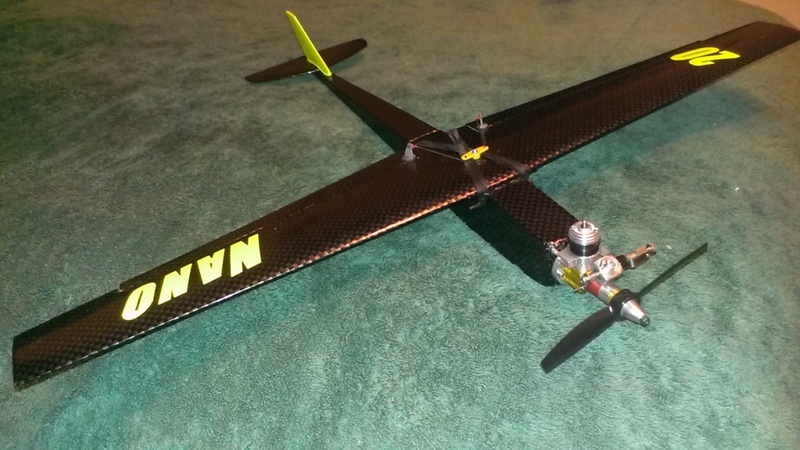 the setup will make a perfect park flying power package. Engine ran steady once on the needle, started rich and feathered in the rpm. right behind the engine where the goo typically really builds up bad nothing there!!! has no inside groove to allow breathing from the opposing exhaust port. side ways or canted to control the oil spray direction. Will test with a 3.3x4.5 prop shown, venturi is stock bore / Cox FIRE engine for max rpm. performance where the front exhaust port is completely block off. The engine was thirsty I had to turn out the NV quite a bit to keep up with the fuel demand. the top end demand. 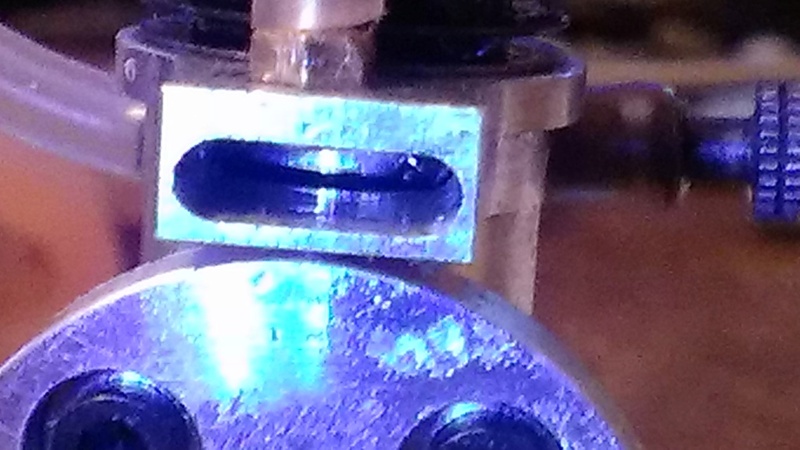 The design had a purpose made thicker top on the header just for a thread tap. hope to reel it in to about 3.5 to 4 turns. 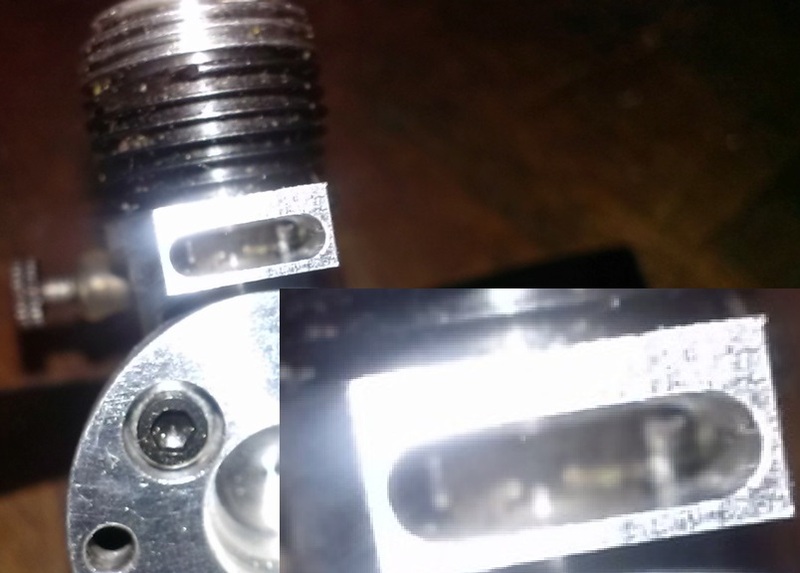 Tested the thirsty single port FIRE speed set up with a pressure tap busted 100 mph static! 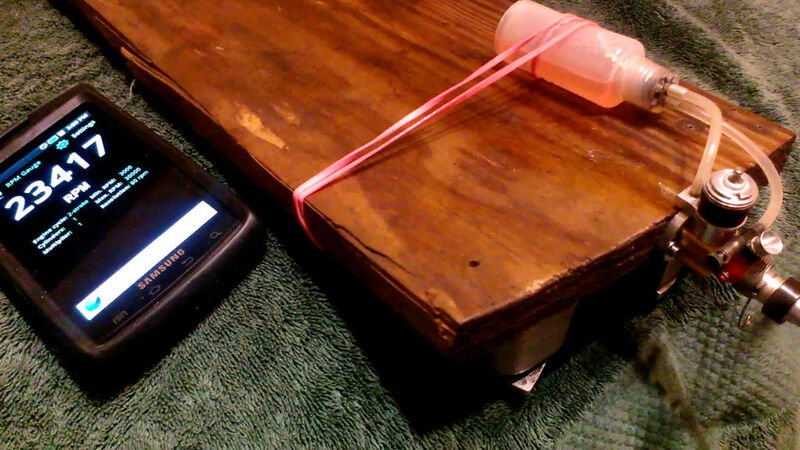 testing the TD .020 will optimize fuel draw. The one used for testing is not ideal. 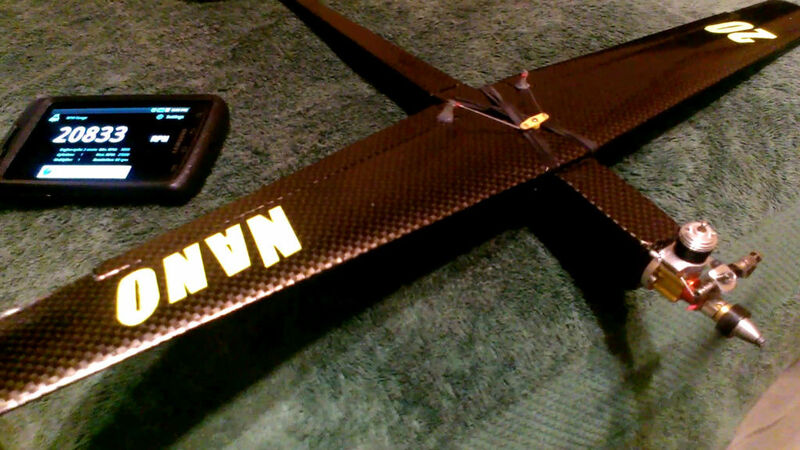 Will be test flying the type 1 with the groove first with no pressure tap this weekend if weather allows. Hello Brad, I want to ask you this doubt that I have, according to the location of the pressurizer, it could be generating suction of the tank, instead of pressure to the tank. Really in that pressurizing position the force is exerted as indicated by the green arrows? ..
air into the tank. If the header was longer it would create more pressure to the tank. header is what I have to work with. Nice run Brad..how come the SPI did not destroy the muffled speed? Because the header is short and has a larger ID than the exhaust port see pic. 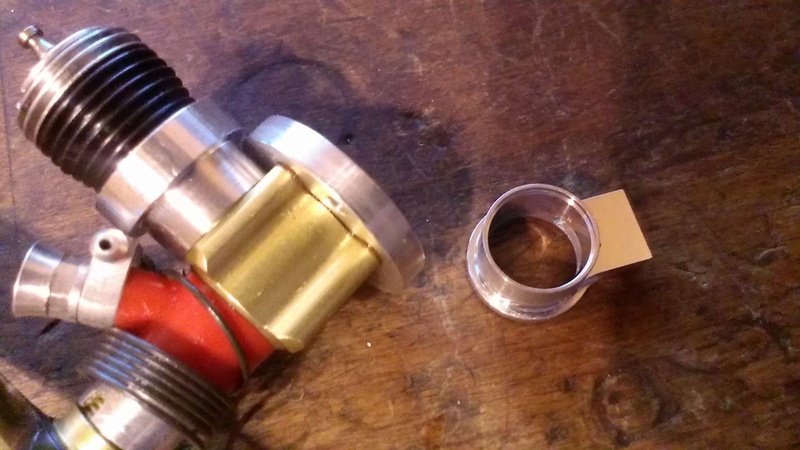 Think of a aluminum cased single exhaust engine with SPI has no problem functioning. the exhaust from piston wall. 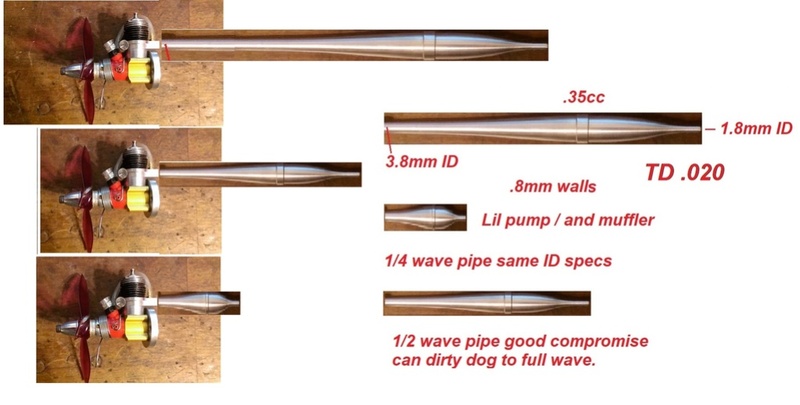 1/4 - 1/2 to full wave pipes. 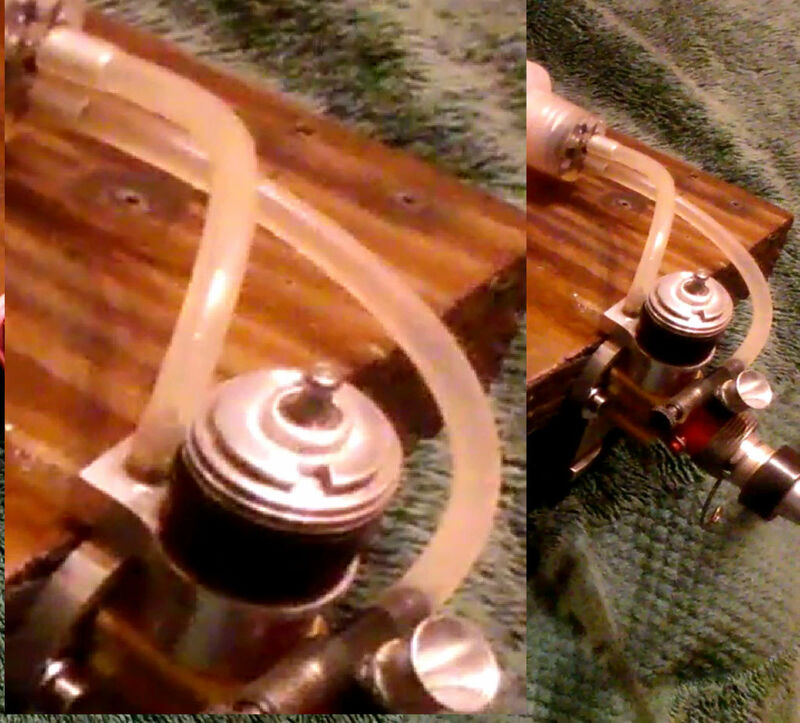 The first manifold tested has a groove so both ports breath that one is for general flying. There will be a second version with bolt on muffler I will do bench and field testing on it too. I am making sure no other tweaks are needed prior to moving forward. planes/ war birds? This can expound to the other displacements .049 / .09 / .15 potential. plane projects requiring dedicated flying fields. Is this header made for sale to int'l customers? The same individual that makes the aluminum backplates? will be some most excellent opportunities. 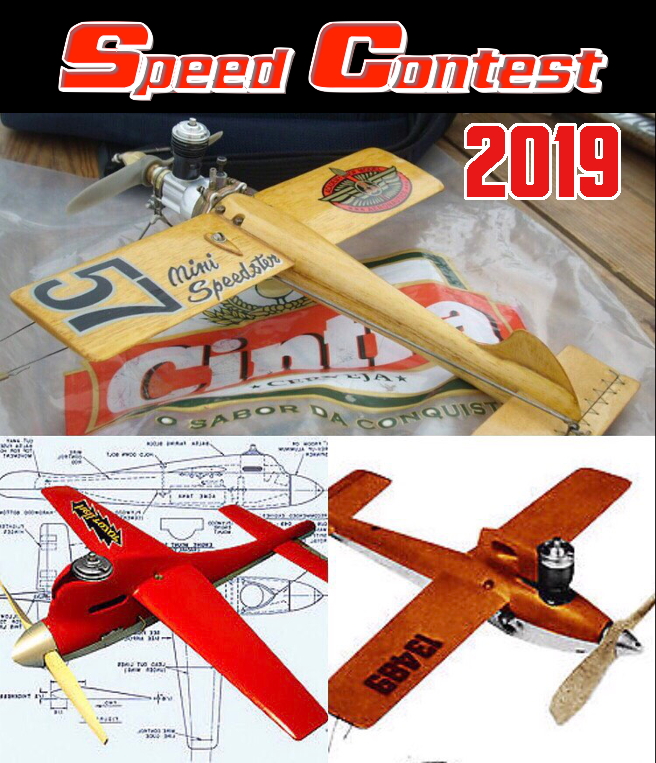 enjoy micro engines and had always wished for better precision parts after all it is 2018.
production / availability was quick considering. and encourage use with existing / new projects. compromise would be a half wave pipe. 1/2 wave is popular with high performance speed outrigger hydro's. one could bet by with a 1/2 wave pipe for a bit more top end rpm and to save weight and drag. 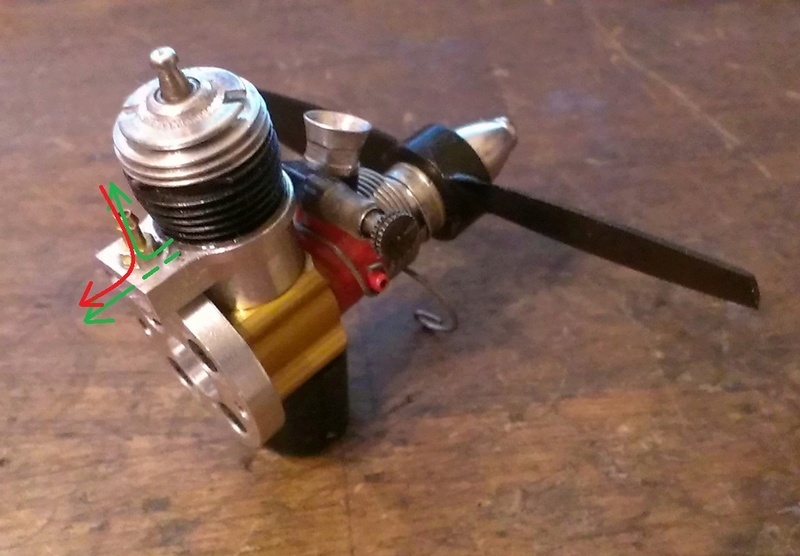 Profi .8cc pipe was used to scale for .35cc engines it is a very good pipe design, I have 6 of these. 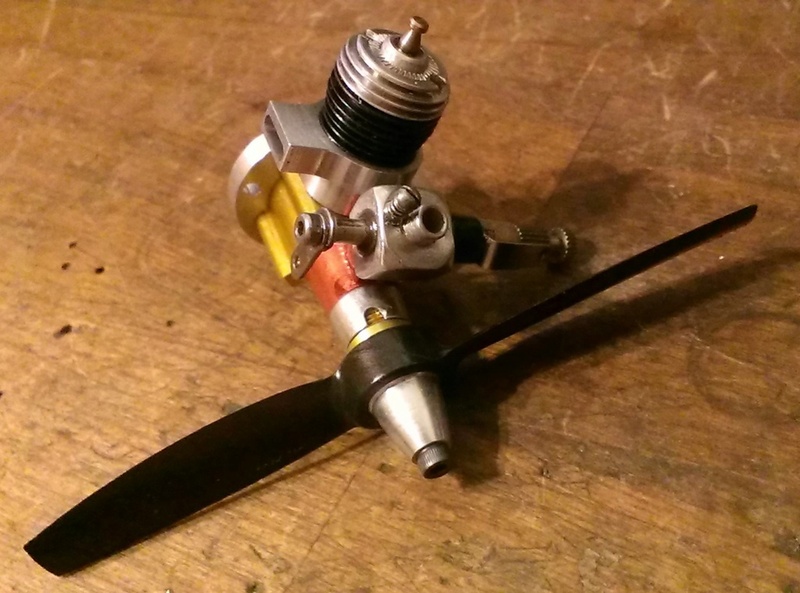 props at 32.5 to 34k rpm. MRP for the full wave is 8.5" center of piston top to distance shown on pipe diagram. Brad this is an impressive explanation on tuned pipes that I am sure many of us read with great inrerest. Based on its expected performance boost and looks I would definitely go with the last lil one! 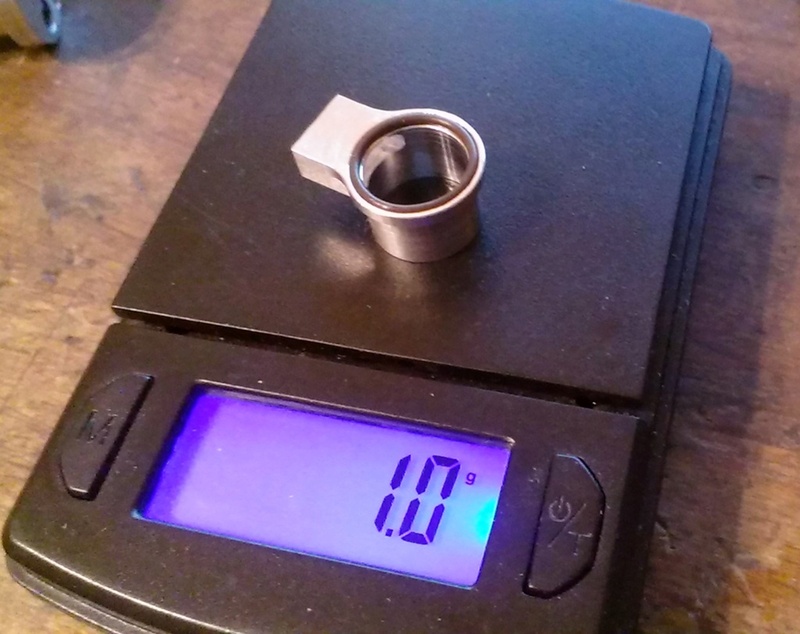 Do you have anyone make the pipe on your custom design? In the rpm formula I remember you used the same 150 degree angle for the 049-s. 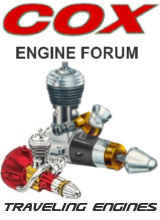 Does that mean this variable is the same for all stock COX engines 010 and others larger are just scaled up? What is the consensus? Is the simple open exhaust manifold desirable? Should continue with a design with the bolt on features, like the pipe adapter or a muffler? I open to input on what kind of features are interesting, but may need to limit the variety of products for production to make sense. Balogh thank you for the Greenie!! 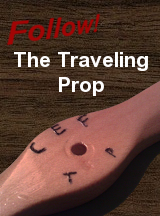 prop to simulate in flight unloaded rpm. The above test was surprising as 140 deg timing is not much to work with. from the actual opening only on the header side as the other port is blocked off. field it is much more enjoyable to the ears than open exhaust. sound suppression and oil control. 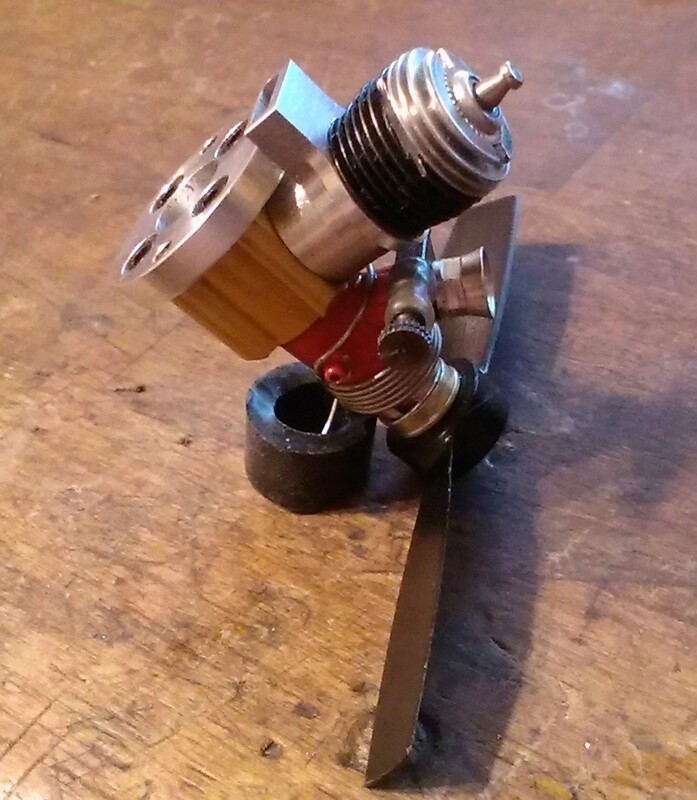 The .020 needs a simple RC carb to complement the setup. 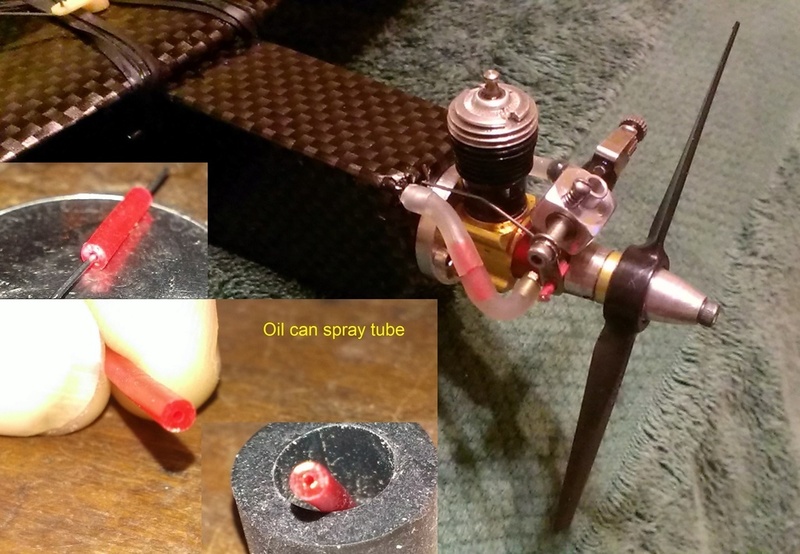 to use with silicon tube as a exhaust diverter for in cowl projects or just a way to shoot the oil straight down. without breaking the bank / able to fly in small spaces. Looks and sounds cool. 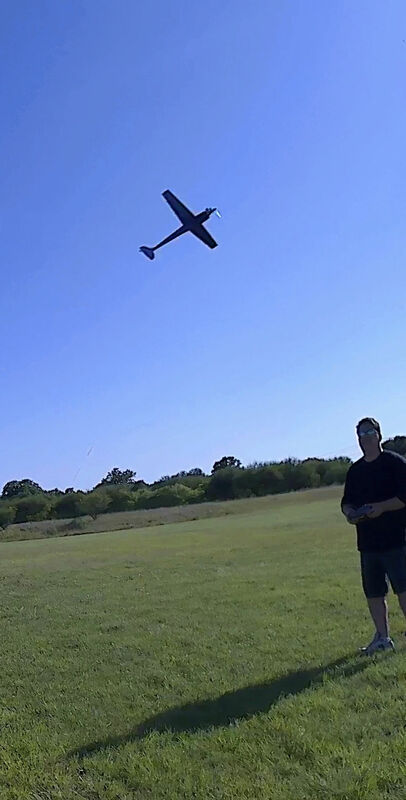 Today will head out to the field and flight test the manifold will post a vid. I am more interested in pipes and will be happy to absorb the cost of them in limited production. The main interest would be most likely mufflers and header manifolds. Some drilled for bolts some not. field use will help along with postings on line. tuned pipes rather than a FIRE configuration it would then be FISE engine. 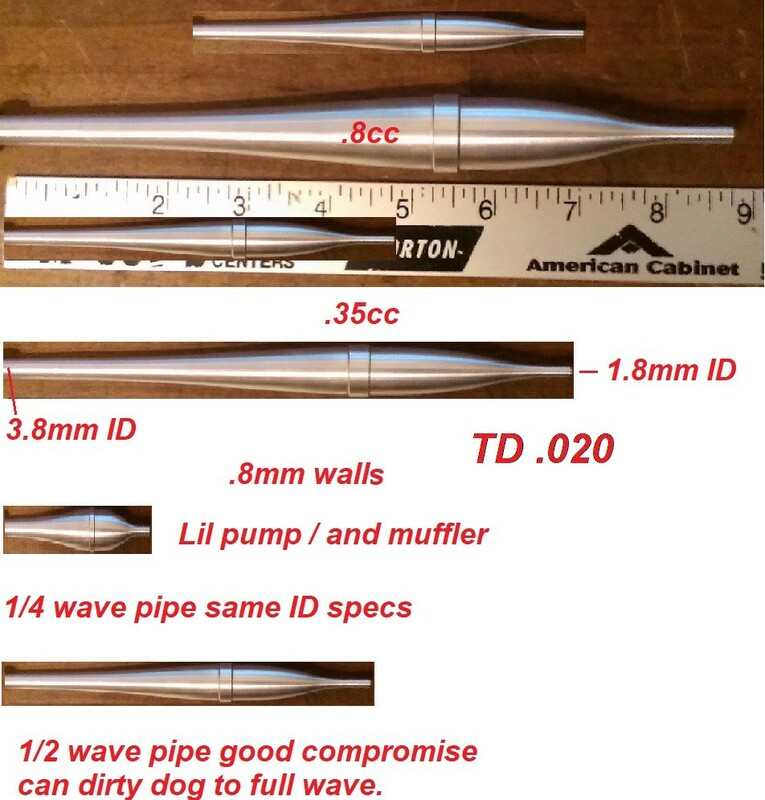 Lil 1/4 wave pipes like these make a unique sound AKA the Lil Pumper or Lil Spitter. The design will help pull fuel/air through the carb producing boost. Now this is getting interesting !! Why not get the press. from the T- Pipe ? instead of the manifold . I would bee interested in some of these that are easy for the model/engine builder to use without going into A Lot of tuning . There is not this out there for the getting w/out knowing the right people and that requires a THANK YOU ! I will get back to you on this later .